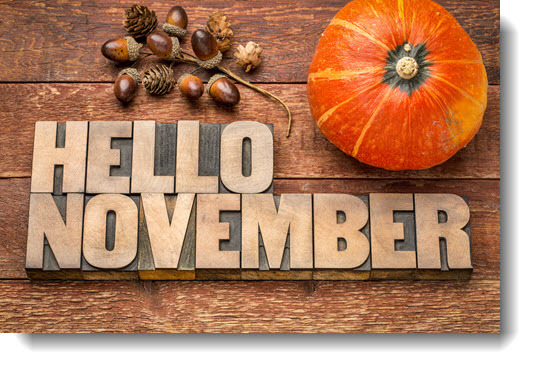 Wow, November – 2018 is getting close to being over! 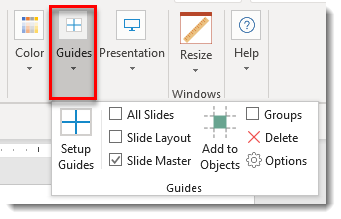 This month I have gathered up PowerPoint formatting tips and tricks from our design team, with a special focus on Master Slide and Master Layout formatting. 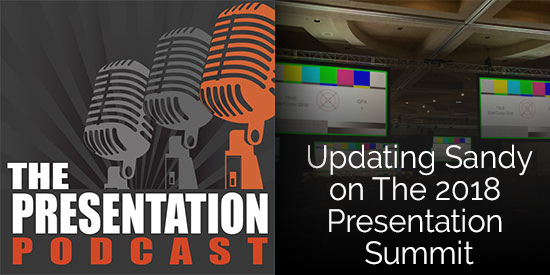 For The Presentation Podcast we have a conversation about the 2018 Presentation Summit session topics “Filling in Sandy On the Presentation Summit” and a conversation about managing projects and watching for additional add-ons “Scope Creep and the Boiling Frog”. 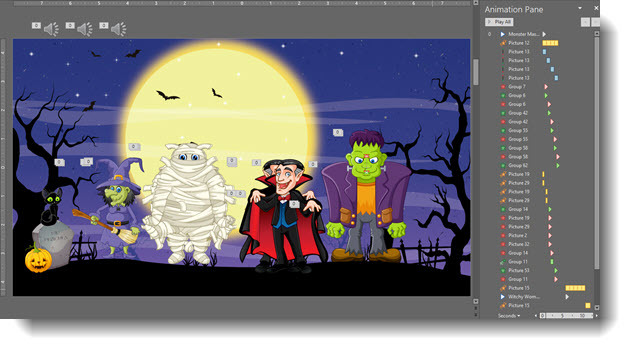 Just a bit of Halloween fun in her spare time (thanks Christie!) 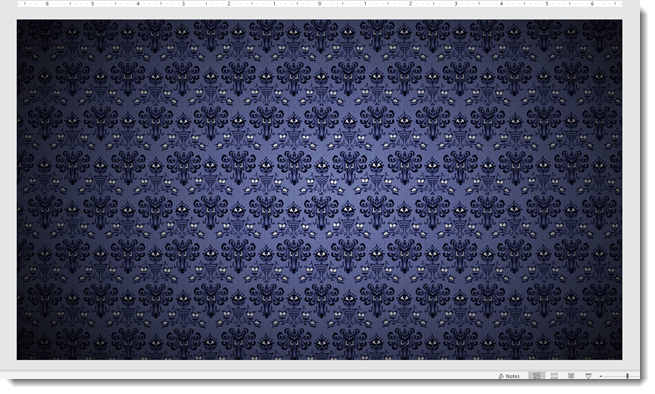 with this animation creation! 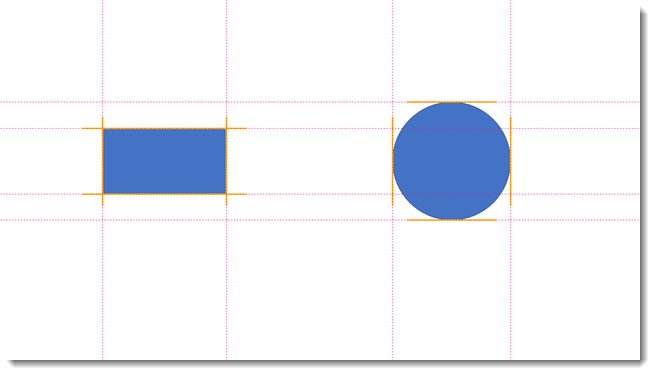 At TLC Creative, our entire design team is working in PowerPoint every day. 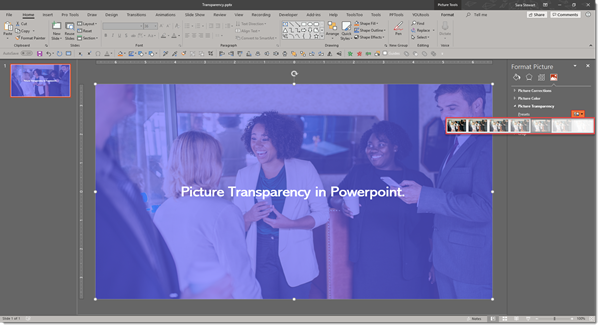 We live for finding ways to do things faster, and we have a great collection of PowerPoint Add-ins installed. 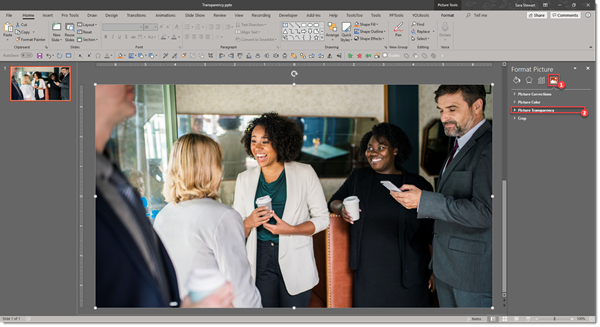 New to us this year is the YouTools suite of PowerPoint add-ins from YouPresent – and we love it! 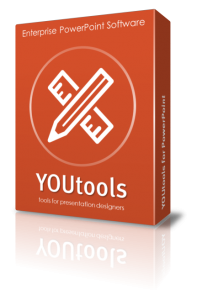 YouTools is the only PowerPoint add-in that we currently know of that is compatible with both 32- and 64-bit versions of Microsoft Office AND both Windows and Mac OSX compatible! As of today, there are over 30 tools available, but we have been amazed as that number went from 20 to 30 in just the past 4-5 months we have been using it! 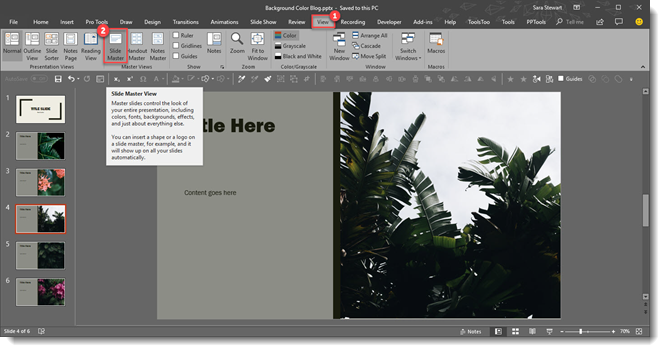 Because there are so many great tools in this add-in suite, we voted in the design studio and selected 4 of favorite tools to highlight here. 3. 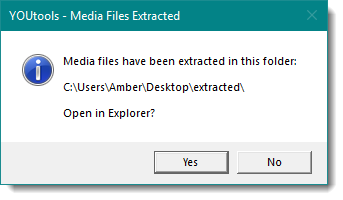 The presentation I extracted media from had 306 embedded media items. 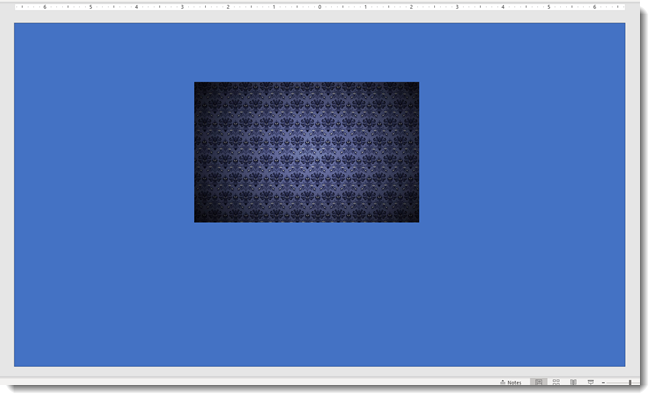 This includes pngs, jpgs and emfs, as well as audio and video files. 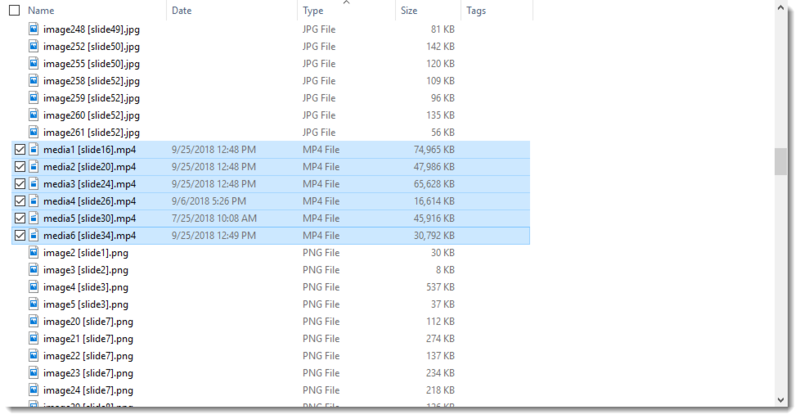 I wanted to pull the embedded videos, and by sorting by type I can easily do so. YouTools also adds the slide number to the file name which is super helpful! 1. 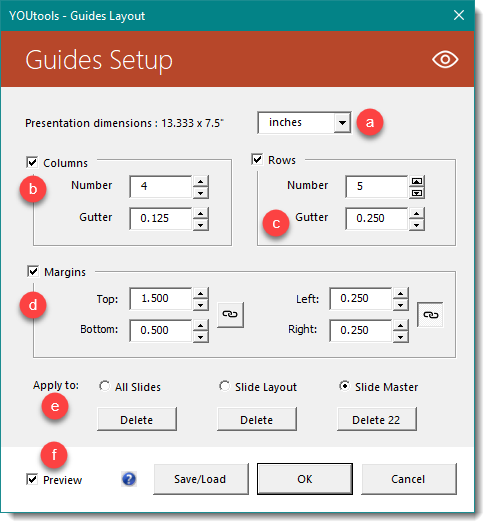 The guides tools are amazing, and one of the most innovative parts of YouTools. 2. 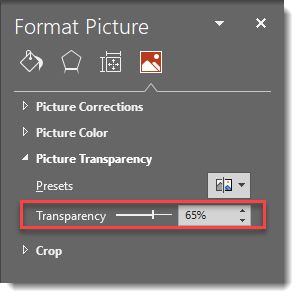 When you click on SETUP GUIDES, a new menu pops up. 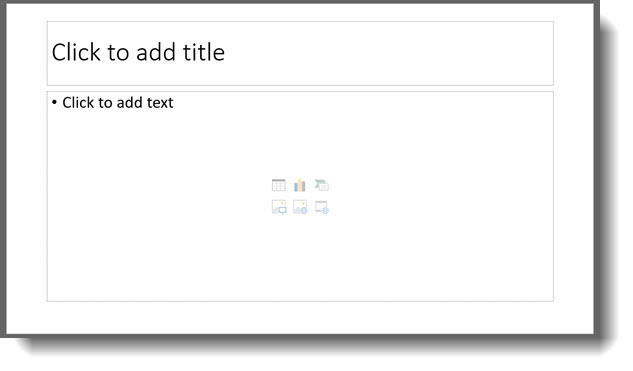 Even better, you can set slide MARGINS and the rows and columns will adjust. 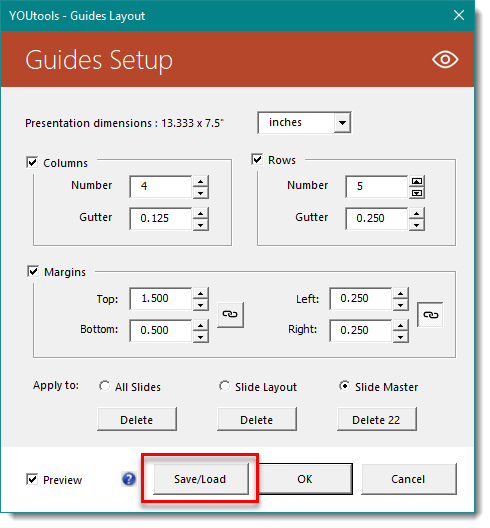 For example, set 1.5” margin at the top for the title area,.5” at the bottom for the footer area, and .25” on the left and right, the rows and columns will be perfectly set in the safe space of the presentation! 6. 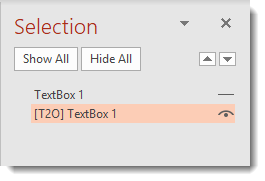 You can change to any other hex code. 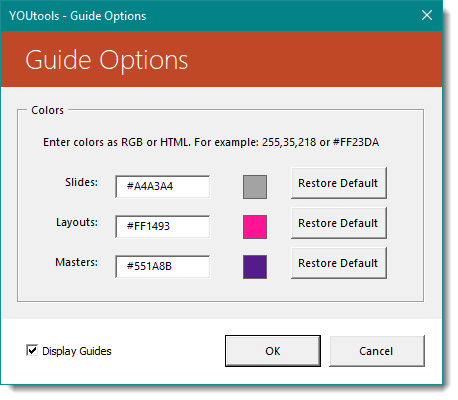 But if you change your mind, click RESTORE DEFAULT to go back the PPT default colors. 1. 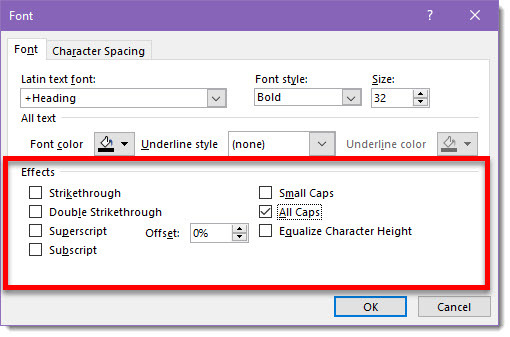 Converting text using a custom font to a shape is a practice many of us presentation designers do daily. 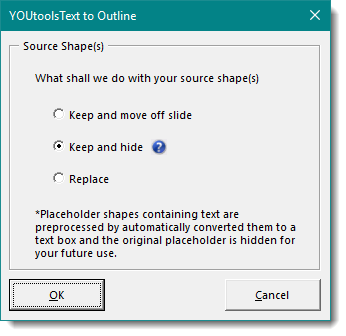 With YouTools, its now a matter of a couple clicks and the task is accomplished. 7. 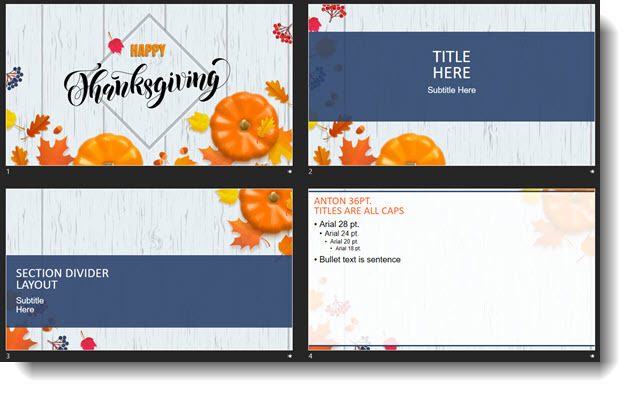 With the font outlined, I can apply any PPT effect to make it special! 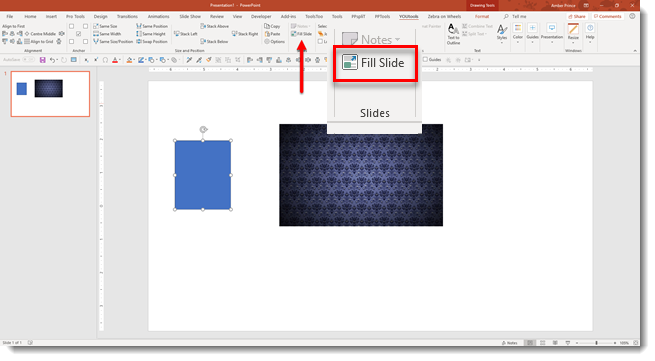 Again, so many things are well thought out and major time improvements to production work in PowerPoint. 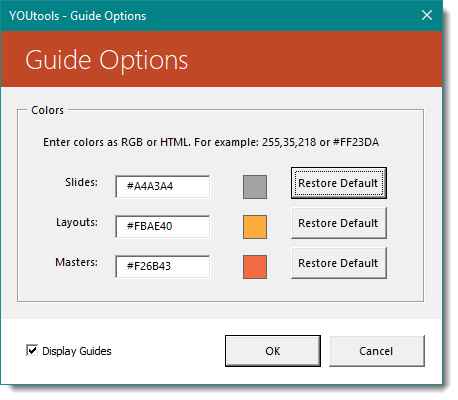 We did not include the align and stack tools, the very cool Join Shapes tools, the vastly improved theme color scheme setup tools and really only a fraction of what can be done with the Guides tools – there is a lot there for only $30! 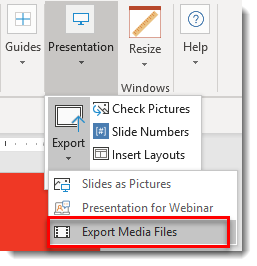 Get more info and download here.